Eyebrows often have leathered, hard and dry skin. During pigmentation of the eyebrow, the skin starts to swell or may tighten or bleed, so parts of the brow will stay colorless. The advantages of Booster Brow are: It will weaken the skin allowing easier needle penetration. You don’t need to over work the skin, allowing you to wo.. 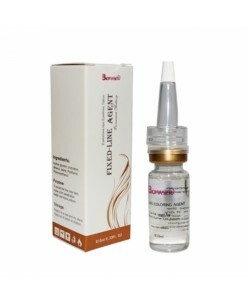 The skin of an eyeliner procedure is a membrane so it is difficult to encapsulate pigment. During an eyeliner procedure your clients eyes will swell and tear up. 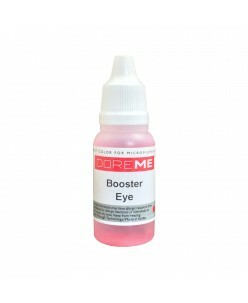 The advantages of Booster Eye are: It slows the lymph system so less swelling and the puncture hole closes quickly. Booster Eye neutralizes the salt in tears, which mak..
Lips will bleed quickly because there are many blood vessels in the area. The skin of the lips is also a membrane so it is difficult to encapsulate pigment. The advantages of Booster Lip are: It staunches bleeding and will lower the pH of the pigment. As the skin raises the pH it will contract and close the puncture holes, so th..
''Doreme Permanent Sealer'' is made for all procedures. The Sealer is used for after the procedure has been completed, accelerating the healing process. It also simplifies the aftercare procedure for the customer, reducing the possibility of any mishaps in following the aftercare system. 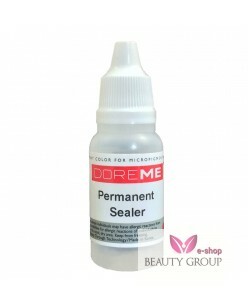 Doreme Permanent Makeup Sealer helps keep..
Premier Products Tattoofinish (240ml) Tattoo Finish spray is to be used right after you have finished tattooing. First, clean the tattooed skin as usual and simply spray on Tattoo Finish. 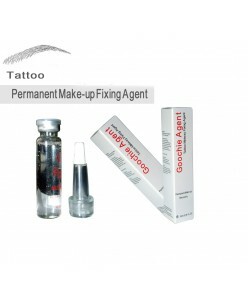 Tattoo Finish will close the pores and stops bleeding immediately. This means it keeps the more ink inside the skin. Tattoo Finish will als.. PRODUCT INFORMATIONThe unique liquid formula is created for professional use, right after the procedure- Stops bleeding that means it will keep more pigment in the skin;- Closes pores, that means it will prevent skin from swelling;- Product creates microbial protection.HOW TO USEFirst, clean the skin as usual and simply put a dr..
Purebeau gel after the procedure Sealor 10 ml.